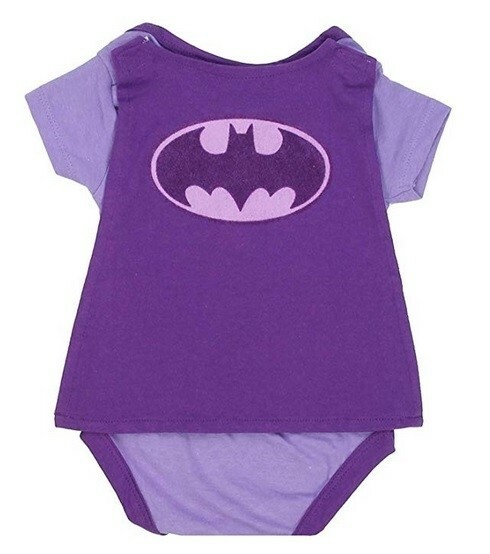 Don't underestimate her just because she's young — Batgirl is smart, determined, and courageous, just like your little Mighty Girl! 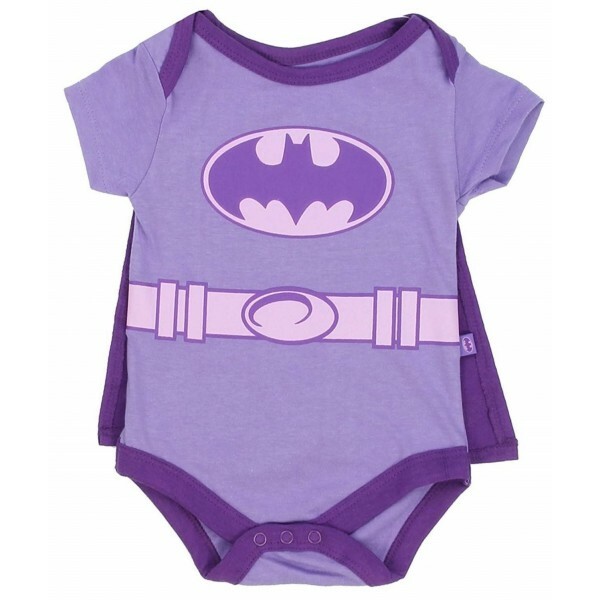 This purple Batgirl onesie is 100% cotton and printed to look like Batgirl's suit. It even has a removable cape! 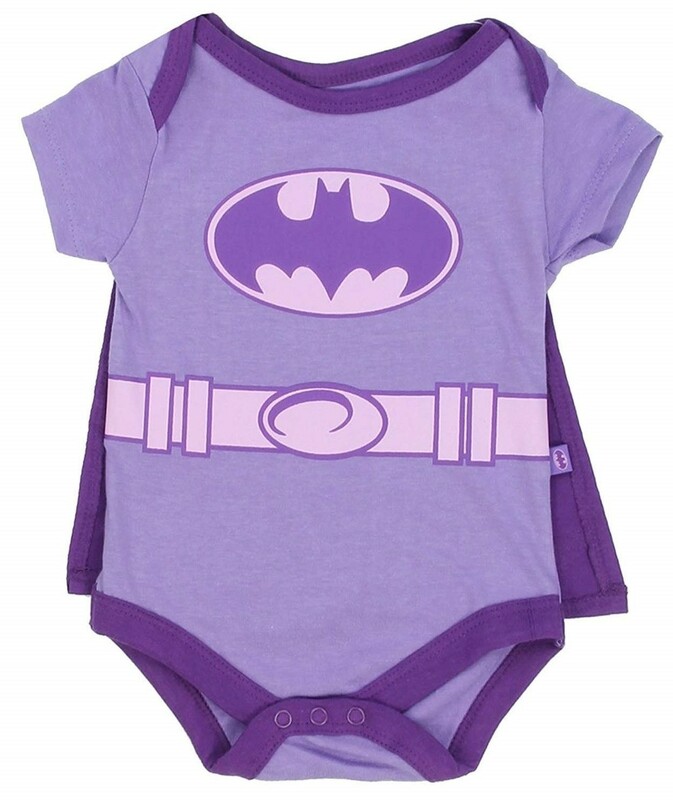 Available in sizes 0-3 months, 3-6 months, and 6-9 months.